JOINT BASE LEWIS-McCHORD, Washington A U.S. agent who investigated a massacre at two Afghan villages last March says the soldier charged in the killings had taken steroids. Special Agent Matthew Hoffman of the Army's Criminal Investigation Division testified at a hearing Wednesday that Staff Sgt. Robert Bales tested positive for steroids three days after the killings of 16 Afghan civilians. Hoffman also described the enraged reaction of Afghan villagers. He says the situation was so volatile that U.S. investigators couldn't get to the crime scene for three weeks. Even then, they were expecting to be ambushed. Bales, 39, faces 16 counts of premeditated murder, six counts of attempted murder and a count of steroid use. The hearing will help determine whether his case advances to a court martial. Earlier Wednesday, a U.S. soldier who served with Bales said he thought Staff Sgt. Robert Bales seemed remorseful after he was taken into custody. Sgt. 1st class Vernon Bigham's defense testimony is one of many that suggest Bales was aware of the crime he had committed. Other soldiers have testified that Bales made a confession between the attacks on two villages, asked for help bleaching his blood-stained clothing and deliberately destroyed his computer. A medic, Sgt. 1st Class James Stillwell, said in court Tuesday that when he asked Bales where the blood on his clothing had come from, the soldier shrugged. "If I tell you, you guys will have to testify against me," Stillwell quoted him as saying. 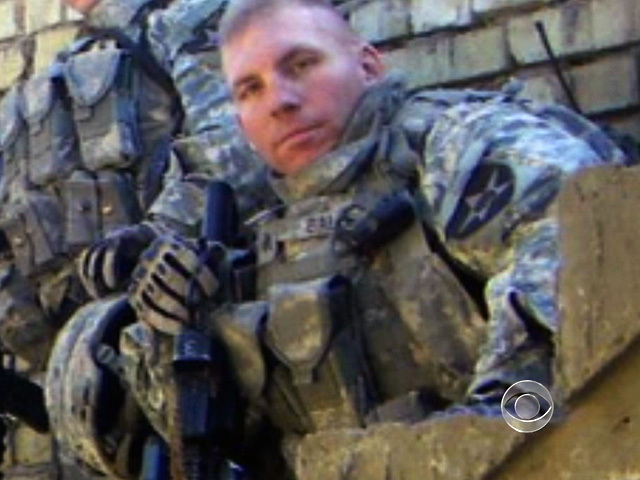 Soldiers also testified that after being taken into custody, Bales told them, "I thought I was doing the right thing." "It's bad, it's really bad," he reportedly added. The remarks could pose a high hurdle for defense lawyers who have indicated that Bales' mental health will be a big part of their case. The testimony is part of a preliminary hearing being held to help determine whether the case goes to a court martial. Video testimony from Afghan witnesses is set to begin Friday.